Emily Greenwell was raised in Michigan and in 2009 moved to New York City. She completed The Professional Semester at Broadway Dance Center, and has most recently continued her training studying with Erica Sobol in “The Gypsy Project: LA”. Upon moving to New York, Emily booked a tour with “Oz the Musical”, directed by American Idol finalist, Todrick Hall. Emily can be seen as a featured dancer on the Wendy Williams Season 5 TV Promo, choreographed by Luam and Derek Mitchell. Other credits include dancing for rock group Phish choreographed by Jon Rua at the Boardwalk Hall in Atlantic City, and traveling to Argentina to perform the works of Derek Mitchell. 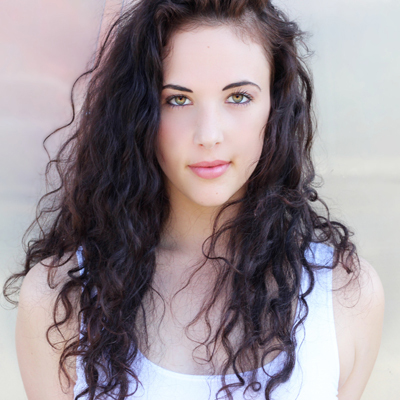 Emily teaches at Broadway Dance Center in both open classes, and the children & teen programs. She taught workshops and Master classes as a guest teacher in Buenos Aires, Argentina, and continues teaching and setting choreography on various studios throughout the United States. Emily has gained a great deal of knowledge about the industry through her work as assistant choreographer to Derek Mitchell, with projects including “So You Think You Can Dance Ukraine”, “The Brooklynettes”, music videos for artists, Carrie Underwood, Sylvia Tonsun and Irina Jade, and most recently, as assistant to choreographers Jon Rua and Derek Mitchell in “Broadway Bares: United Strips of America”, directed by Nick Kenkel. Emily has also assisted Derek Mitchell with Industrials for the NBA playoffs, Sears, Clarins, Fonseca, and NYC Color, to name a few. This past summer, Emily was selected as “The Featured Choreographer” for The Pulse on tour in New York City, giving her the opportunity to choreograph the Opening Number for their 10th Anniversary Gala. Emily was also recently asked to set choreography on Broadway Dance Center’s Professional Semester students for their summer showcase. Through assisting and performing, Emily has found her creative voice, developing a method of teaching and a genuine passion for choreography. She is a firm believer that dance should be a release from reality as well as a challenge of the mind and body. Emily is so grateful to be living her dream in the Big City and sharing her love for art through movement. Class begins with a packed warm-up, using a combination of movement techniques as well as strengthening and flexibility exercises. We will work on strengthening technique, while trying to stylize and bring breath to all movement. We then move in to choreography, where the goal is to bring awareness to movement in the entire body while holding strong attention on technique. In class we will utilize elements from many genres including contemporary, jazz, lyrical, house and hip hop. We will work towards being versatile and pushing through different styles that may feel foreign to some. Emily believes class should be a place for learning, working, and creating the new.